« Ummm, you know you should post stuff on a blog, right? 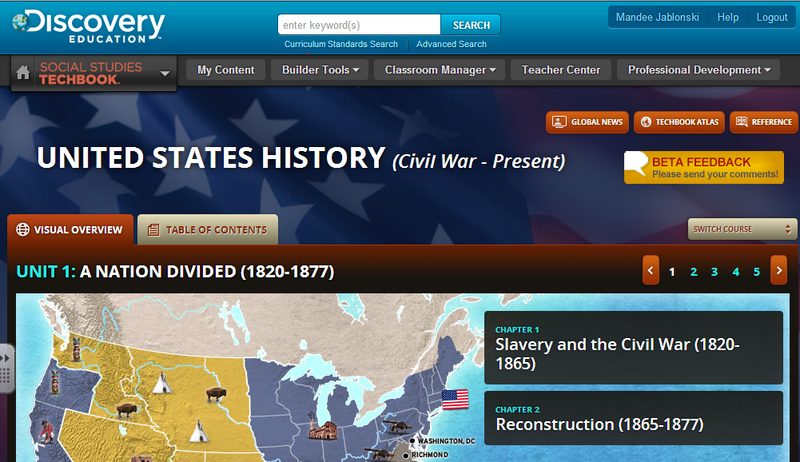 Discovery Education has a new Social Studies Techbook, which is like an online interactive textbook! It covers US History from the Civil War to the present. There are great reference materials, an atlas, and clickable interactive components. It really rocks! Discovery Education is offering a free webinar on March 20. You can check it out and sign up by clicking here. This would be a great way to begin a flipped SS class for sure! If you use it, I’d love to hear from you!